A few weeks ago the kids had 50’s day at school – a couple of stylin’ kids! 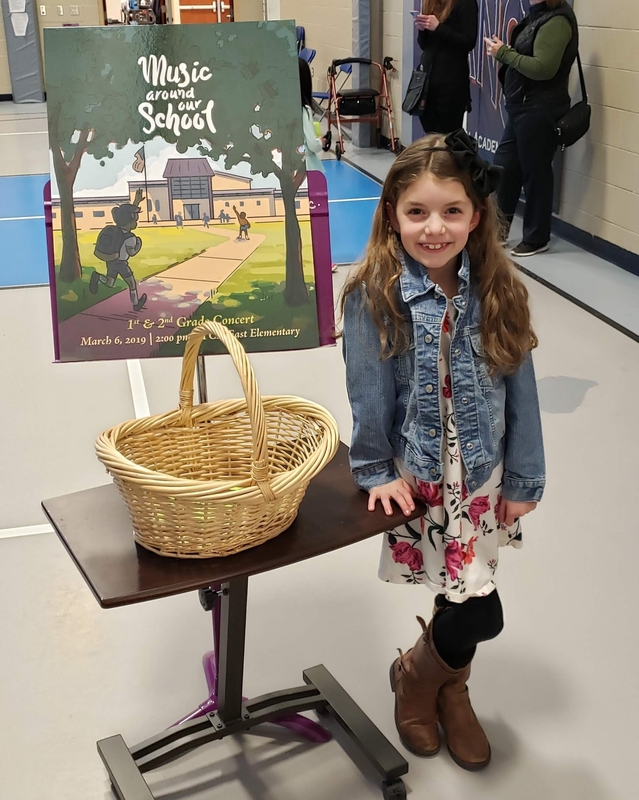 Anna’s 1st grade spring music concert was really wonderful. 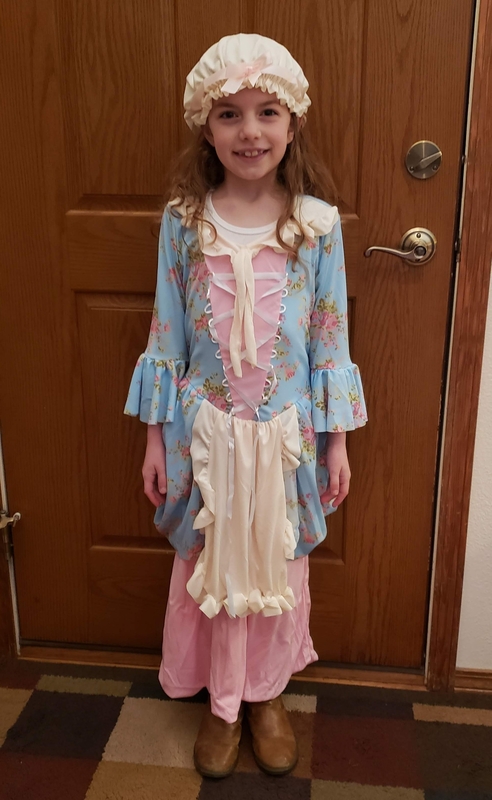 This was her first year to sing on the big stage in front of all the parents and she did a great job. Can you spot her? She’s to the left of the middle, just behind a microphone. Because of the blizzard, James’s class celebrated Pi Day a week late. 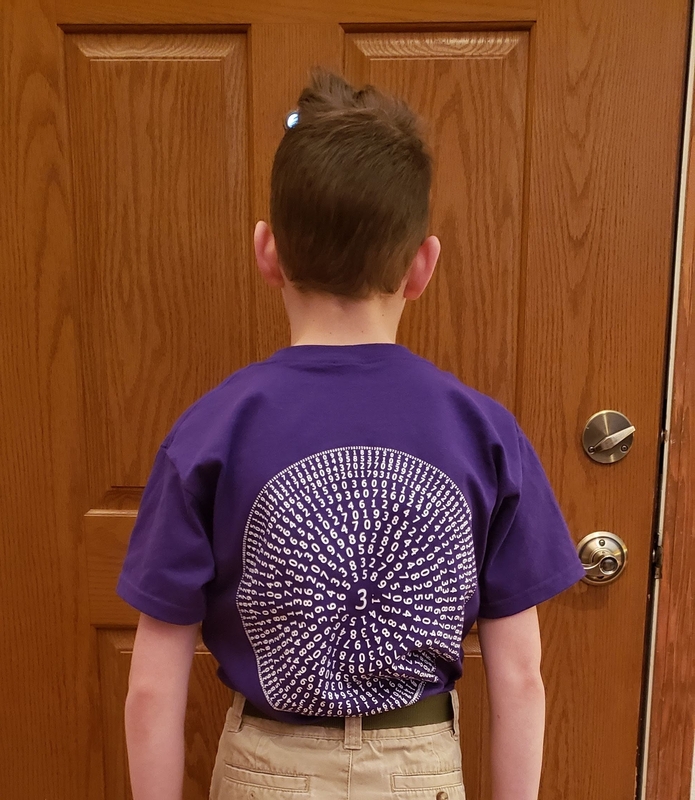 The 4th grade classes ordered t-shirts for the special day – very cool! 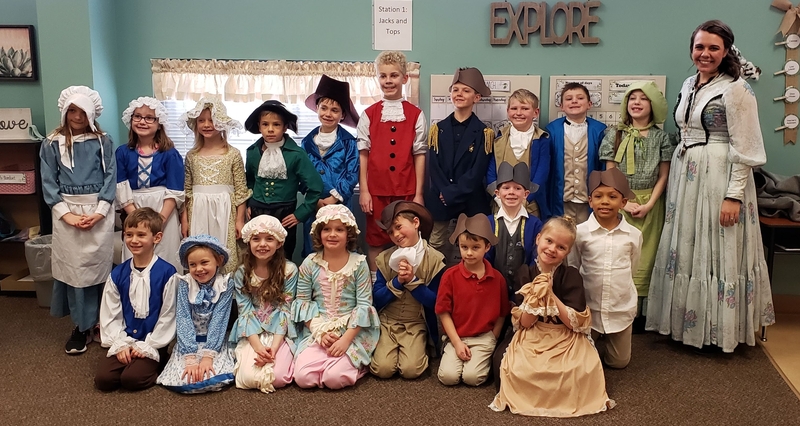 And 1st grade had Colonial Day this past week. 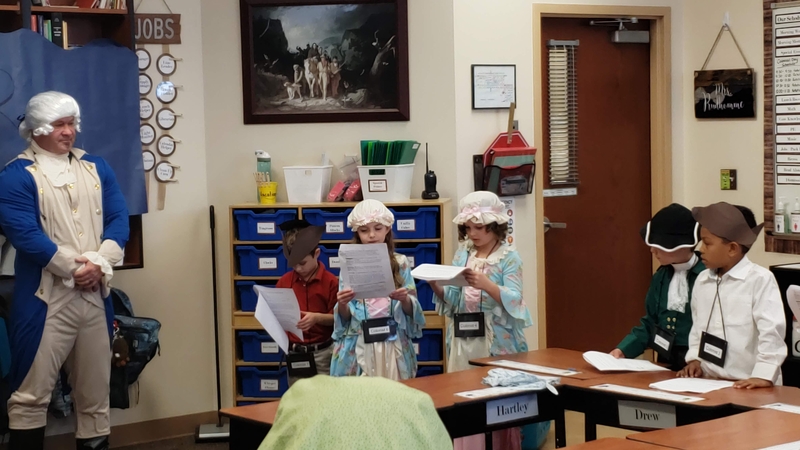 I love helping with these curriculum days – they are so fun! I really think more information would have stuck with me had I experienced it like these kids are getting to do. 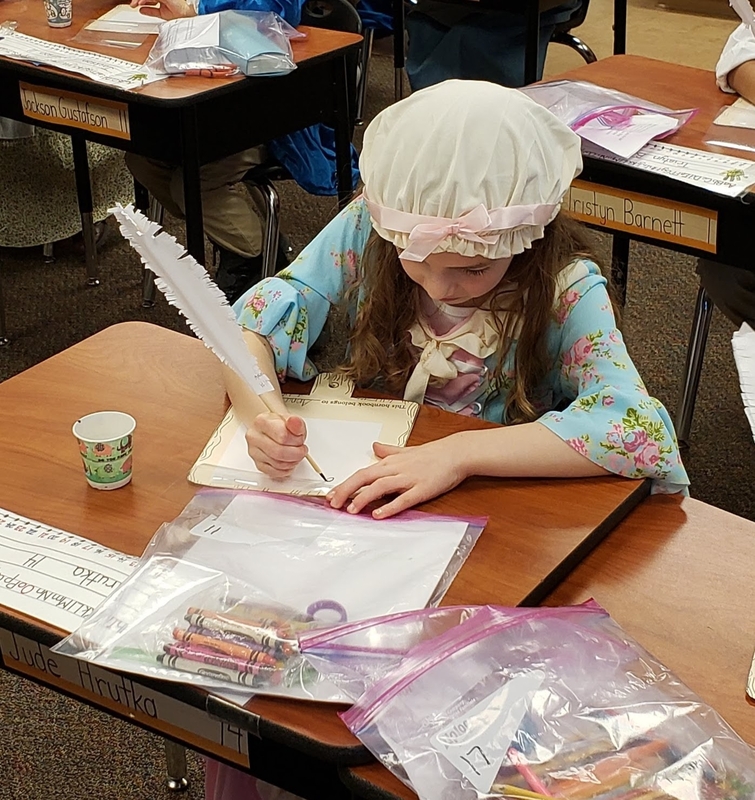 Anna’s class learned about a one-room school house and practiced writing with a quill and ink. In another room they learned a traditional colonial dance. 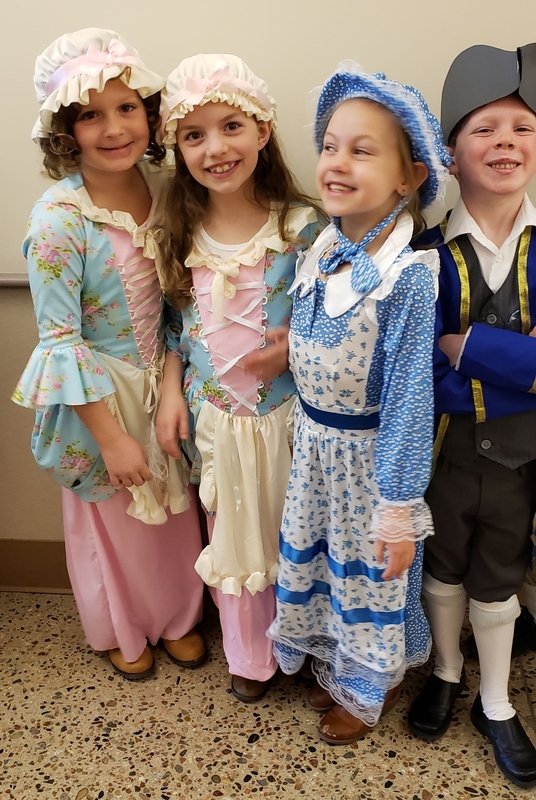 They performed a play together re-enacting the Boston Tea Party – Anna performed her line so well – clearly and nice and loud! 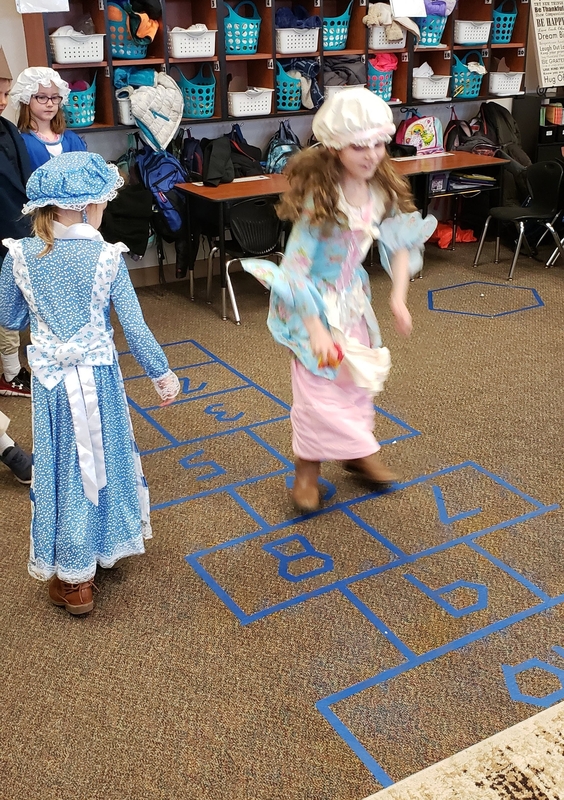 And in the final room, the kids played hopscotch, marbles, and jacks – games that early colonial children would have played. 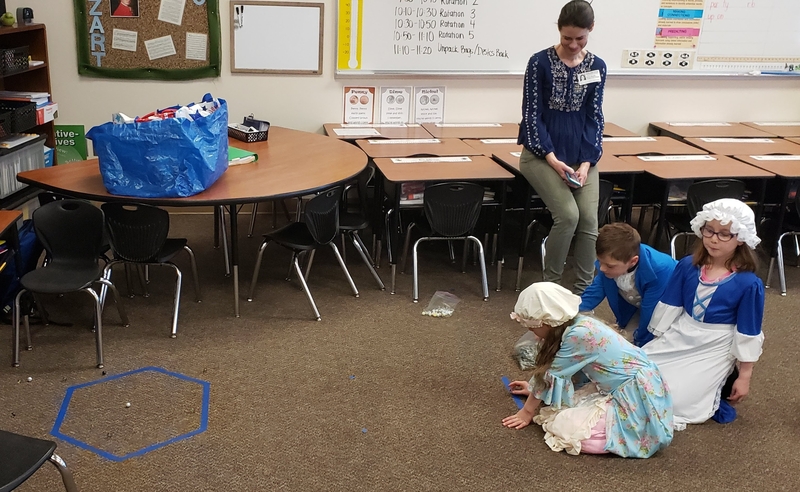 I’m thankful for the school the Lord brought us to and love watching the kids experience so many meaningful activities to enhance their learning. I typically post about these special days at school never really mentioning the hard work the kids do day in and day out in between. I’m so proud of their diligence not only at school but also at home – working on homework, practicing spelling words, and memorizing recitations every month. 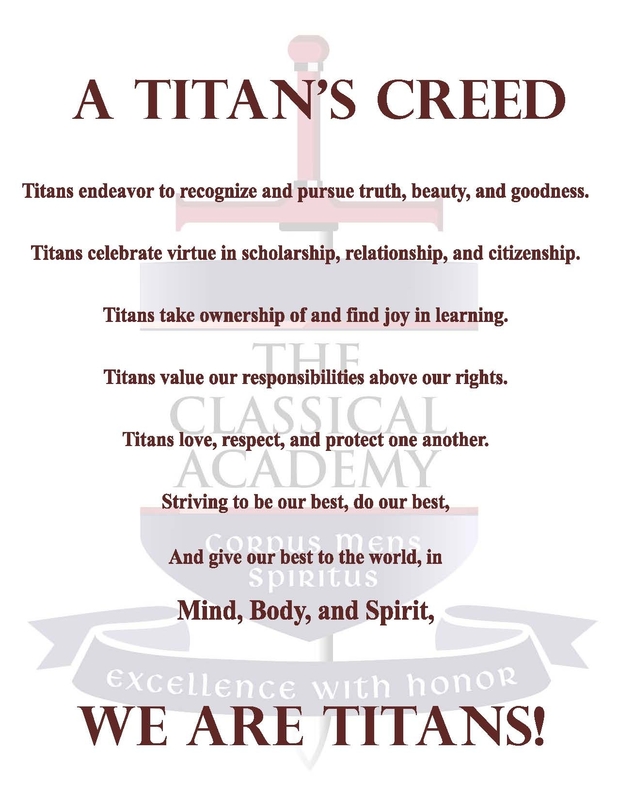 I love our school’s mission, A Titan’s Creed. The kids recite it weekly every Friday morning at assembly with the entire school. I love that. These words are the foundation of everything the school does and I’m thankful that our kids are being nurtured in this way. The bible talks about this idea many times – being faithful to use our gifts and potential for His glory. One of the study notes I found said, “Faithful stewardship in this life will result in being given greater responsibility and stewardship in the life to come.” I want Jesus to say to me one day, “Well done, good and faithful servant.” I don’t want to waste this life in laziness, missing out on the good the Lord had for me to do and learn. And I desperately want this for my children too. I long for them to “get” this lesson at an early age so they’ll be diligent in what the Lord gives them to do throughout their lives. We thank you, Lord, for the work you’ve given each of us today. May we be faithful to complete it with joyful hearts!